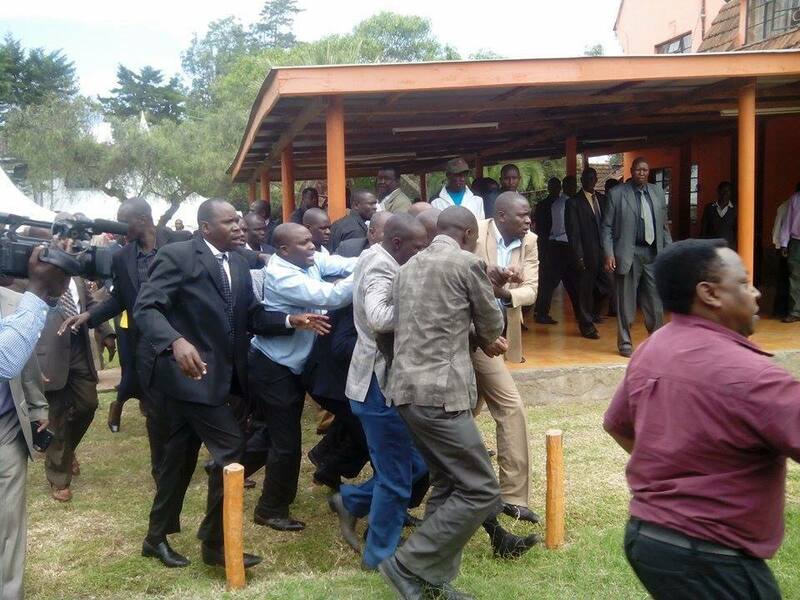 ODM Executive Director Magerer Langat has been ejected from CORD parliamentary Group meeting by party officials. Hon. Magerer who was the former MP for Kipkelion was over the weekend captured dismissing party leader Raila Odinga and ODM despite being the man in charge of the party’s secretariat. The political life of the Executive Director of Orange Democratic Movement hangs by a very thin thread following revelations that he publicly disparaged the party and its leadership during a recent meeting between IEBC and political parties representatives. His performance while in office has been brought into sharp focus in recent days especially after claims were raised that he tampered with the delegates list prior to the acrimonious ODM elections that aborted at Kasarani in March. Despite the Party Leader Raila Odinga standing in defence of the under pressure Magerer Lagat, a group of agitated MCAs from Nairobi are at this moment headed to Orange House to demand his immediate ejection from office. The former Kipkelion MP Magerer Kiprono Langat was appointed as the new Executive Director in July 2013 after Janet Ongâ€™era was nominated to the Senate by ODM after steering the party since its inception in 2006.